With the winter months quickly approaching, I figured I would make a new wreath to get into the festive spirit. My original inspiration came from an Etsy pin that I found on Pinterest. I just tweaked it to fit my taste. The wreath was very easy and inexpensive to make. Christmas ornaments that I picked up 1/2 off at Hobby Lobby. I secured it using rubber bands, then cut the tulle on each end of the box. Next start tying the tulle around the wreath. Continue until the wreath is as full as you like. Decide on placement of your embellishments. 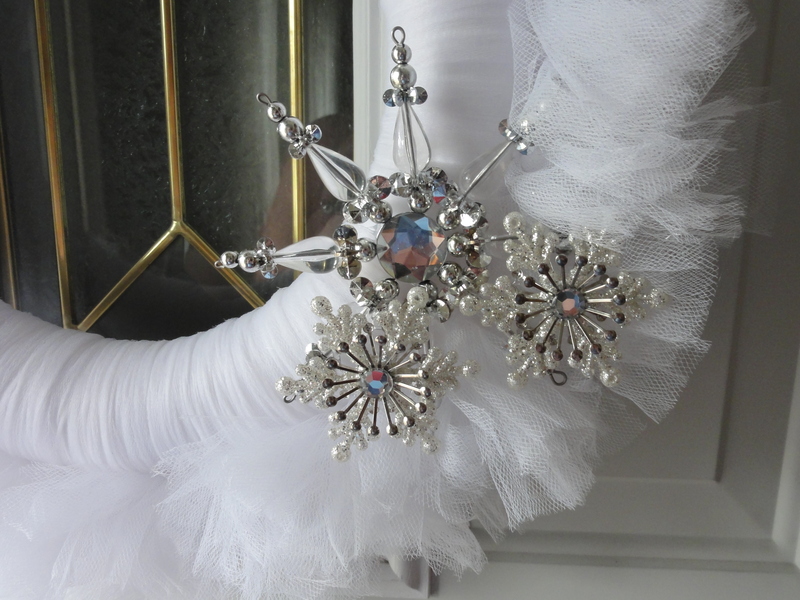 Using hot glue gun, secure embellishments. 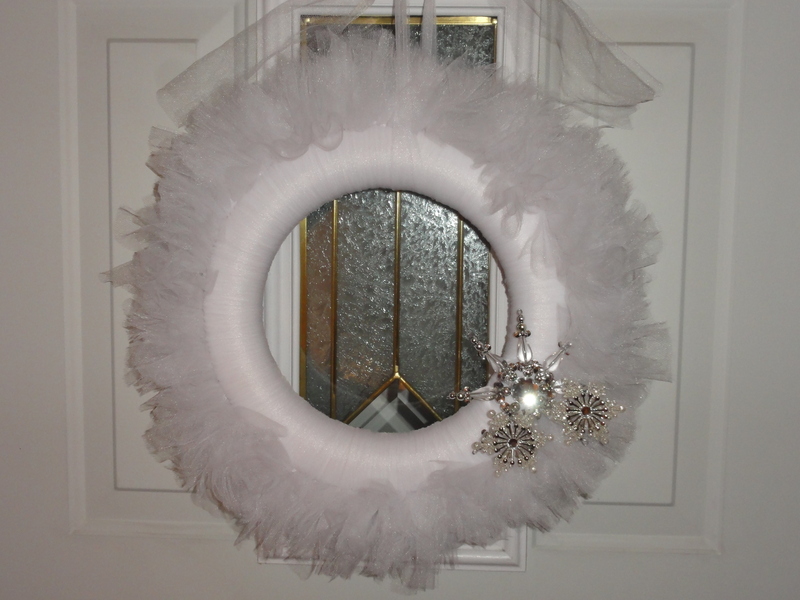 Cut a length of tulle to hang wreath from.